During my December 2013 trip to Laos after having witnessed so many pretty flowers and plants while I traveled, I ended up buying a few books on the topic while I was over there. Of course this was mostly because I wanted to know the names of the plants I was admiring. However, along the way, I found books that would provide even more information than just names. Have a look, may be these will interest you too? - For the love of dok champa! This book is all about it! The dok champa flower is the national flower of Laos. You'll be a virtual expert on this flower after reading this book. If you didn't think you could learn so much about it, think again. 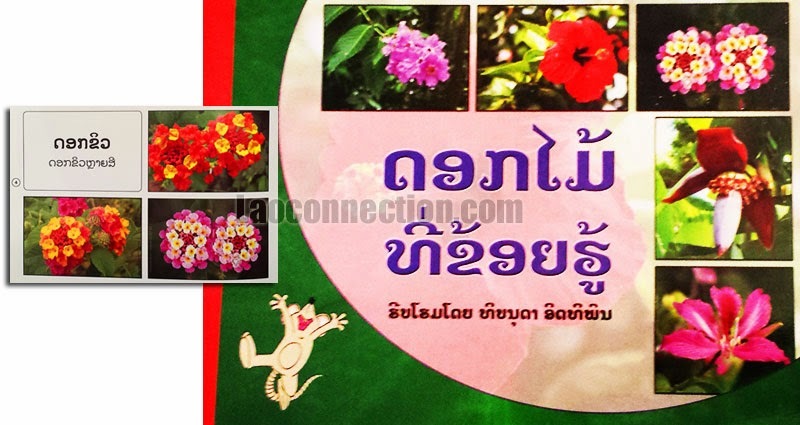 This book brings you through the different varieties to how to grow it to the Lao national song named after it, along with many gorgeous color photos, and so much more. Indeed this flower is not unique to Laos as it grows in many tropical climates from Laos to Hawaii. It does go by a couple of other names aside from dok champa (champa flower) including plumeria and frangipani. But no where else in the world is this flower appreciated more than in Laos. Each part of this book illustrates how deep that affection goes. It's written in Lao and was created as part of the city of Vientiane's 450th year anniversary. 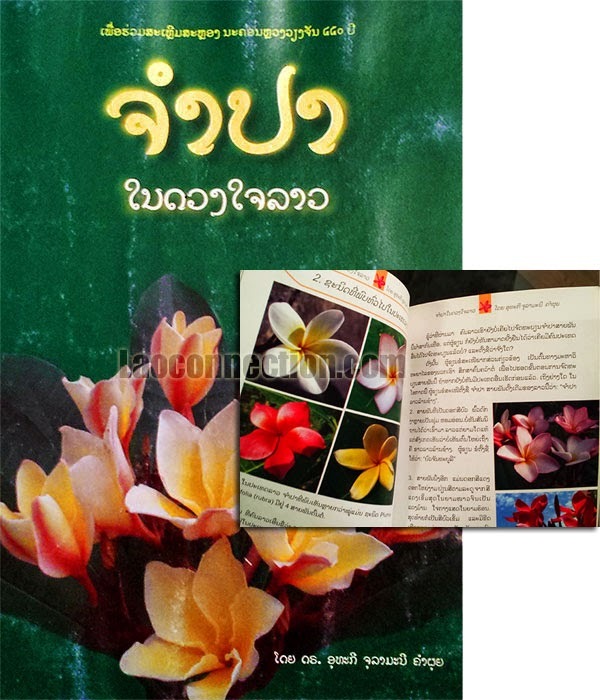 - This is a cute children's book for beginner readers to learn the name of some of the more common flowers found in Laos. Kids and adults will enjoy the nice pictures but it is basic with not that many pages and simple Lao phrases. The book is a part of a series by Big Brother Mouse written in Lao to help teach kids about the environment around them.